Professionally screened au pairs, babysitters, drivers, tutors. Short or long term, any number of hours, once off. No registration fees, no placement fees. Please note all candidates from Sitters4U will also be notified of new positions on the ChildCareSA website. Professionally screened au pairs, professional nannies, night nurses, teachers, and more. Full house service including provision of documentation, contracts and advice. Part time positions from R 3500 in Cape Town or R 4000 in Gauteng. Full time positions from R 7000 in Cape Town or R 8000 in Gauteng. Once off babysitting service in Cape Town. Want easy access to pre-reference checked and experienced childcarers? Want to contact staff directly? No middle man or agency, while still having the assurance and convenience of quality child carers who are reference checked, have their own vehicles, are trained and have a real passion for childcare? Babysitters, au pairs, nannies, infant care specialists, tutors, drivers, special needs carers in South Africa? 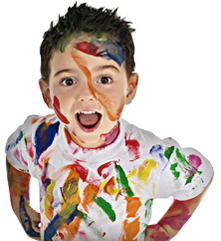 ChildCare SA is your families solution. ChildCareSA wants to assist top childcarers, babysitters, au pairs, tutors, and drivers find local families to work for in South Africa. How much does it cost to apply to be listed? Nothing. It is 100% free.